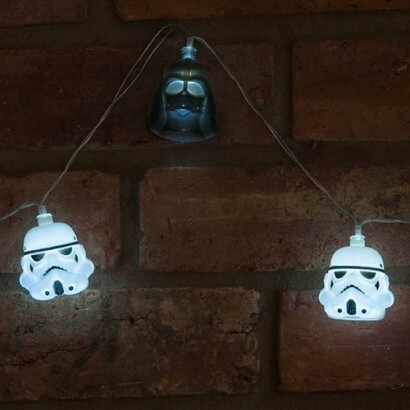 There'll be no Darkside in your room when you hang these funky Star Wars string lights shining brightly with the Force of bright white LEDs. 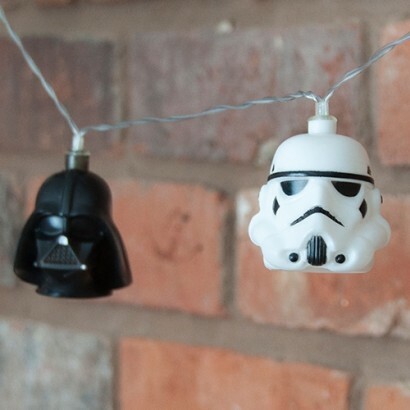 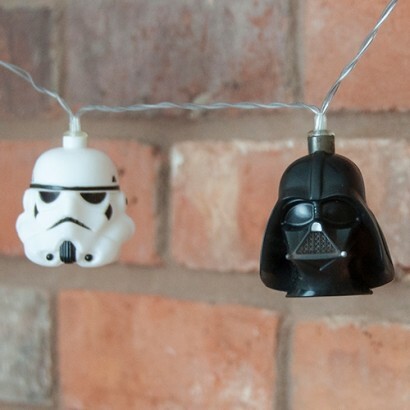 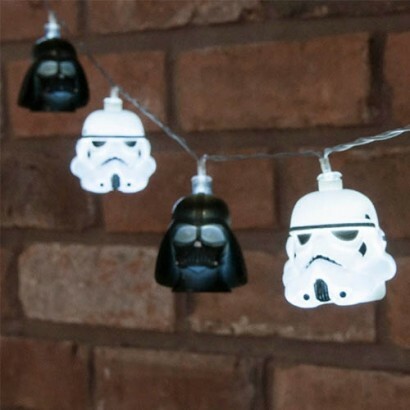 A string of 3D character lights featuring the iconic helmets of the First Order Stormtroopers and Darth Vader are each lit with a single bright white LED illuminating the helmet for characterful feature lighting. 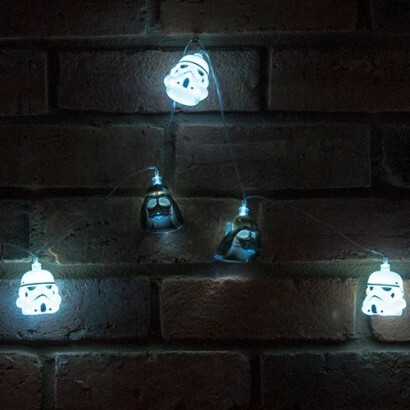 Ideal for kids rooms or for the Man Cave of Star Wars fans no matter what their age, these Star Wars string lights are battery operated making them easy to place anywhere for a cosmic glow.